Mod Podge is a water based sealer, glue and finish. It can be used to secure paper and fabric to many different surfaces including wood and glass. You can display your favorite pictures, make them into coasters, or even create a photo jewelry box. Mod Podge is water-resistant but if you would like your project to be waterproof, it's best to finish it with an outdoor acrylic sealer. If you are working with raw wood, it’s best to give it a quick sanding to smooth out the surface. Wipe clean with a soft cloth. 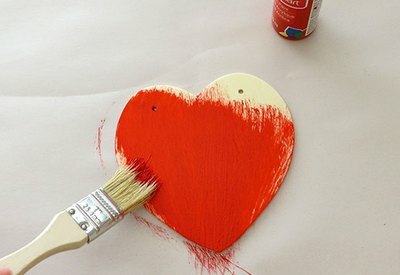 To add some color to your piece, paint the surface with a water based paint and allow to dry. 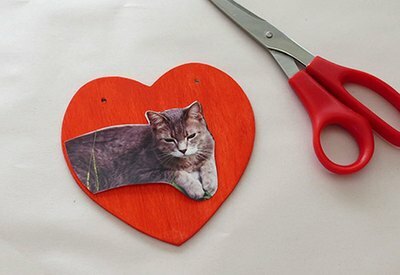 Trim your picture to fit onto the surface of the wood. If you're using multiple images, it's okay to layer them to make a collage. 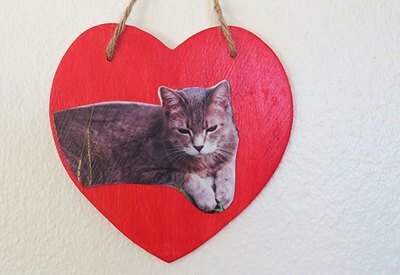 Apply a layer of Mod Podge directly to the wood and place your image on top. Starting at the center, run your fingers around the image to remove all bubbles. 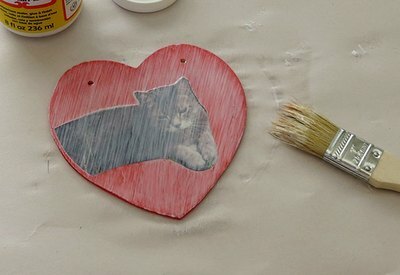 Once dry, apply another layer of Mod Podge over the entire surface of wood and picture. It will look cloudy but once it’s dried, it will be clear. 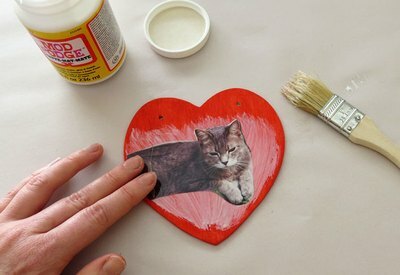 Your project will determine how many layers of Mod Podge to use. 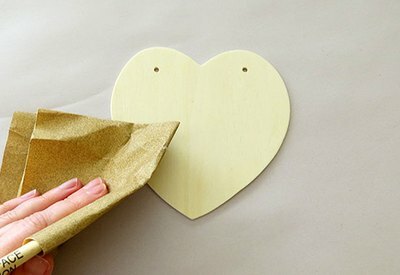 For a simple wall hanging, one layer is sufficient. For projects that get more use, like jewelry boxes and coasters, apply multiple layers. Allow each layer to dry before adding the next.